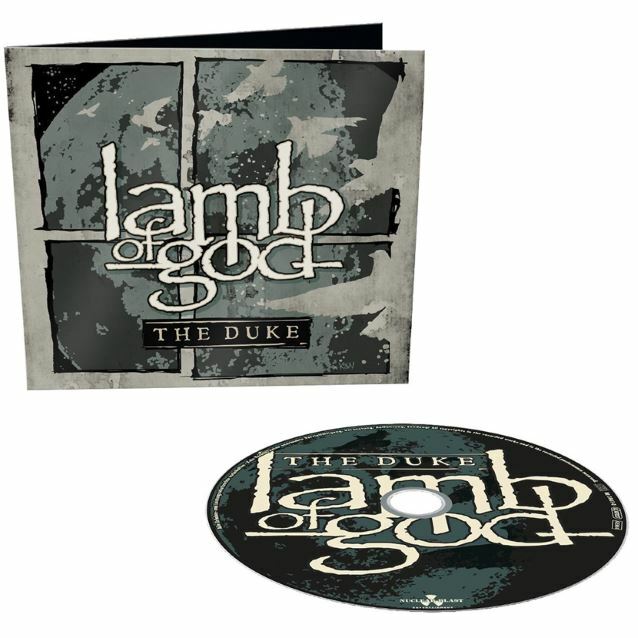 Richmond, Virginia metallers LAMB OF GOD will release a new EP called "The Duke" in December. The EP's title track, which was recorded during the sessions for the band's last album, "VII: Sturm Und Drang", was inspired by the plight of a LAMB OF GOD fan named Wayne Ford, who was diagnosed with leukemia in 2010 and died five years later at the age of 33. 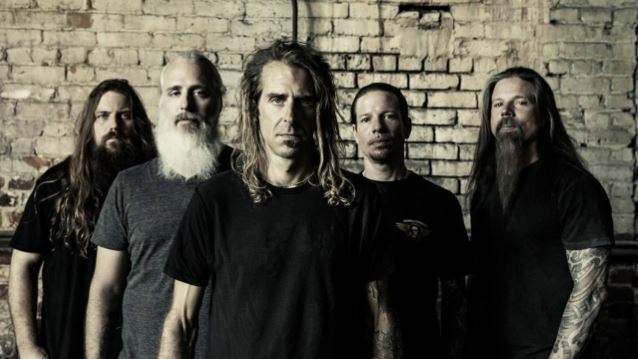 LAMB OF GOD frontman Randy Blythe, who befriended Ford in 2012 after first learning of his cancer battle, has penned a lengthy note on the band's web site in which he discusses his interaction with the fan and the inspiration for "The Duke"'s lyrics, which were written "in [Wayne's] honor." Blythe wrote in part: "While I was in the studio [recording 'VII: Sturm Und Drang'], I had asked Wayne if there was anything he wanted to say to the world, any particular words he wanted to be remembered by. My idea was to record him saying them over the phone and then layer them into the record, or perhaps I could take the words and work them into a song's lyrics. 'That's really cool. Let me think about it, man,' he said, but he never got back to me about it. I don't know if he hadn't made up his mind, or if he just didn't feel like it. Regardless, I wanted to honor him in some way. I wanted this level, collected man who had become my friend, all the while staring down his own death, to be remembered through the music of the band he loved. Seeing how calm he remained was (for lack of a better word) inspirational. "Those of us who think about how we will die all hope that we will do so with dignity, but no one knows how they will handle death until it comes for them. Wayne provided me with a living example of how to leave this world with grace. So I decided to write the lyrics to 'The Duke' from my feeble understanding of his perspective, and in his honor. "Some of the lyrics for 'The Duke' arose from things Wayne had said to me, others from a conversation I had with his wife, and some just from my own head. I had originally named the song 'Immortalis', but after a conversation with Wayne's father Frank, I decided to keep the original working title that my bandmates had come up with, long before I had ever talked to Wayne. "When I told Frank about the working title, he laughed and told me that he was a big John Wayne fan. He had named Wayne after the actor, who also happens to be known as… The Duke. Synchronicity at work. "For various reasons, my band decided to not release 'The Duke' as an album track. I was fine with that — I thought the song and the story behind it would get more attention if it was released on its own later. And I do want the song to get attention, for more reason than one. Besides honoring this man I was friends with for such a brief amount of time, I want the story of 'The Duke' to raise some awareness about leukemia, especially the need for blood marrow donors. "There are not nearly enough registered donors to fill the need. Bone marrow matches are very specific, much more so than blood, and people die from leukemia and other blood related diseases each year because a suitable donor can't be found. It's easy, painless, and free to register — just go to www.bethematch.org. You may save someone's life. Another great organization to support is the Leukemia & Lymphoma Society — they fund research and provide information and resources for patients with leukemia and lymphoma. Check out www.lls.org to find out how you can get involved. 100% of the funds generated from the charity auction I set up to coincide with this release will go to the LLS. "I know from talking to Wayne while he was alive (and to his wife and family after his death) that he was a pretty private dude, a quiet and humble man. He wasn't a big attention seeker, but in his final days he opened up and talked about his disease more; he knew how much his dying could bring awareness to leukemia, the need for bone marrow donors, and funding for research to try and find a cure for this terrible disease. If he were alive, he would undoubtably be annoyed by the attention I am trying to draw to him now — it would harsh his mellow. But his wife Courtney reassured me recently that he would understand why I am dong this — to try and help people — and that 'he would be so honored to have not died in vain.'"